Holy Eucharist is not merely an instrument for the giving of grace—here is the actual Giver of grace Himself, Jesus Christ our Lord truly and personally present. 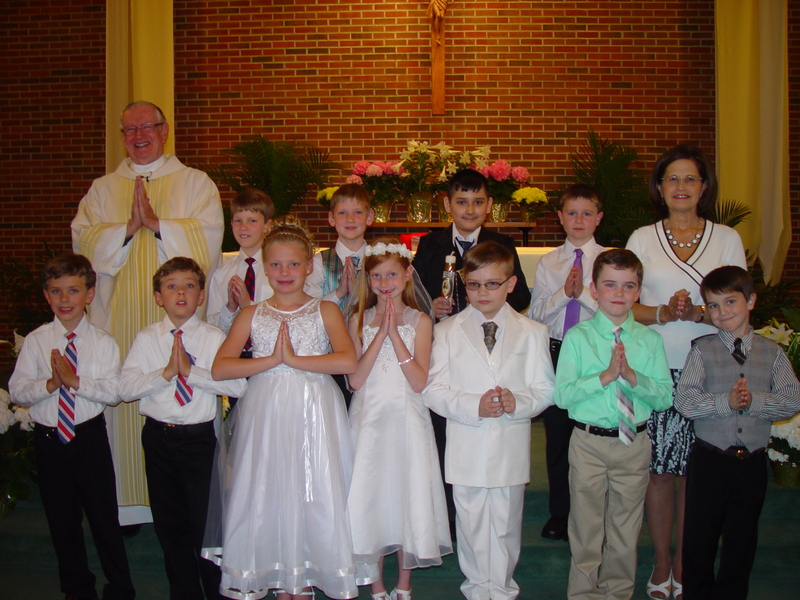 Students in our 2nd grade Religious Education program learn about and prepare for the sacrament through their classes, and attend a half-day retreat. 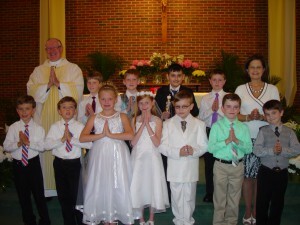 They receive their First Holy Communion at Mass in the spring, always at a 5:30pm Mass.